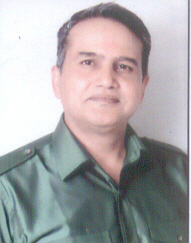 Served the Indian Army for 20 Years. Posted in Siachen Glacier and Insurgency districts of J & K and Nagaland. Awarded Chief of Army staff commendation Card while serving in Army HQ. Wrote over 100 Editorial on Rural Development in various newspapers under the column "Colonel Ke Kalam Se". Member of the "Friends of the Heritage Monuments" largely due to role in preserving ancient monuments in rural belt. Taken up the cause of preserving the Rural culture and Music. Activist for preservation of the South Central Aravli Ridge in perticular and the Gram Sabha Land of rural Delhi.